I've been using my phone to take some photos for when I'm out and about and not wanting to carry a heavy DSLR with me. I don't really want to upload them onto the laptop and spend time editing them either because image quality isn't up to DSLR standards. As an editing software, I downloaded Photoshop express to cater to my mobile needs to use in conjunction with Instagram. Photoshop express also has filters you can add to photos, an auto enhance feature and a fair amount of global adjustable sliders too. The first thing I found with the app is it's very intuitive. You can pretty much upload any photo to work on (provided you know the source destination) with ease. 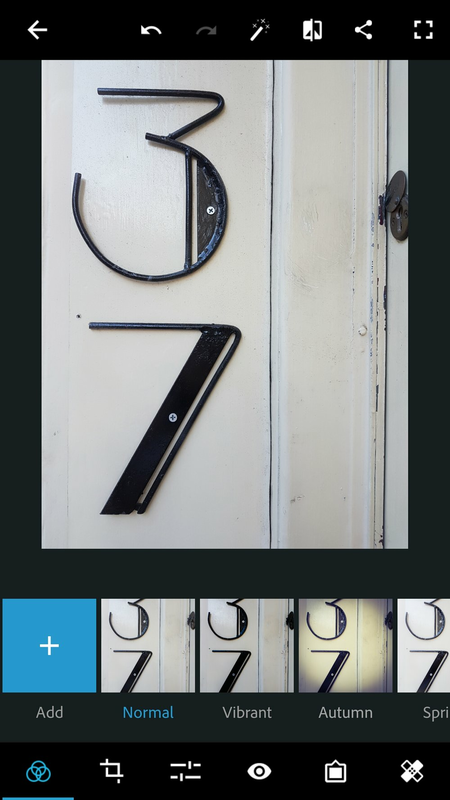 To upload a photo you click the gallery icon, and choose the image you'd like to edit. That's all. It's then opened in the app ready to play with. The filters appear to be the predominant feature as it's the first thing you notice. However, at the top of the screen there's a magic wand which is the auto enhance feature. It can work well depending on the image and the look you're going for. I always press it first just to see what the app would do to the photo. Pressing the wand again will take the auto enhance off. With the image open, the bottom of the screen shows a variety of filters you can add to the photo for an array of effects. My personal favorite is Autumn. There are also premium content filters, but I don't like any of them. When you've chosen a filter, you can set the filter's strength with the slider below your image. You cannot edit parts of the filter separately though. Let's say like me you like the Autumn filter, but want less vignette... Nope. That's disappointing. The next icon along the bottom of the screen is the crop tool. This is a very versatile tool for correcting composition or bringing more attention to a subject. This tool allows you to freely crop and rotate , flip the photo and crop to a specific size for output usage, Facebook or Twitter being 2 examples. This brings us to the global adjustment sliders. Here you can fine tune exposure, add contrast and clarity, defog and sharpen photos, just to name a few. However, and this is the biggest issue I've found... It's all global. Meaning everything you do affects the WHOLE photo! You want to brighten just a section of the photo? Nope. For me this is the biggest let down for the app. When I edit, I want local adjustments too. If anything, I consider them to be a more important aspect of editing. Red Eye is next. And it's just red eye. There's an option for people or pets. It works. Simple. But for those who don't know, this option will remove red eyes from a photo. The following icon is for borders. I personally don't like borders in a photo, but for a select few photos they can help space photos out, or give a film effect edge. The only one I will ever touch here is the black vignette. Our final icon is 'remove blemishes'. I call it it's Photoshop name, the spot healing tool. This is an awesome tool, especially for mobile devices. Provided your healing area is small.. And you don't have fat fingers.. And you only want to heal a spot.. It's a little hit and miss with whether it will attempt to heal the blemish or not, and if you tap and drag on the screen, you'll just pan around. There is no way of changing the sample location either, so you're stuck with whatever the app chooses. But it's such a useful tool for removing unwanted blemishes! The best way to use this tool is by zooming into the photo significantly and healing this way. I spent a good few minutes trying to find the save button, however 'Sharing' your photo is the only way to save. When you press on the share button, a save to gallery option shows. It's only a minor issue, but it can be a frustrating few minutes until you find it. 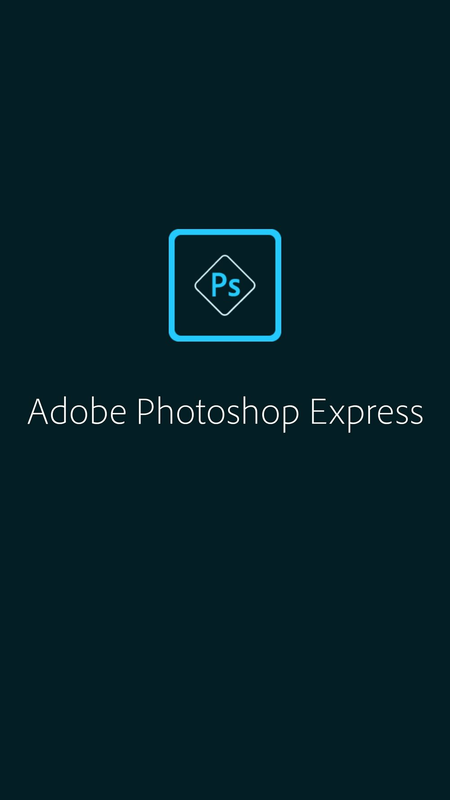 Photoshop express integrates well with Photoshop cc and it's sibling apps. Just don't try editing a 36mp file saved on the cloud on your phone. As a free app, Photoshop express is definitely worth the download even if you only like one filter. I wouldn't pay for premium content though. For me it's a nice app to edit mobile photos on the go with. I would definitely use it more if local adjustments were brought into it and the standard filters were editable . More batteries or better batteries?